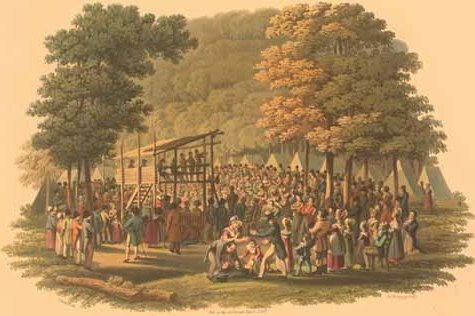 The holiness movement is about certain of beliefs and practices that came from Methodism in the 19th-century. It also refers to some groups of evangelical Christianity who believe that these ideas are central doctrine. The movement is distinguished by its focus on John Wesley's teaching of "Christian perfection" . It says that it is possible to live free of sin, and specifically by the belief that this can be done instantly by preforming a second work of grace. Holiness movement Facts for Kids. Kiddle Encyclopedia.